How many languages do you speak? A lot more than you realise I am willing to wager. Language, according to one definition is a method of communication between individuals, groups and societies which can be verbal, nonverbal or written. It can consist of structured words and sentences, expressions, sounds, numbers or even pictographs to name but a few. Whatever the form language takes, to be effective it must be understood mutually by both sender and receiver. Therein lies the problem that most of us experience when trying to relate our thoughts, ideas and feelings to one another. Language has evolved much over the span of human existence from the cave paintings and drawings of early man to the cuneiform characters of Mesopotamia and Persia; from the ancient Egyptian Hieroglyphs to the evolution of Greek and Roman forms of communication and on to our modern languages in all of its many forms and dialects. Lets not fail to mention the evolution of computer language. Yes that’s right, even machines have their own way of communicating with each other as well as with us. Most of us are fortunate if we can effectively use our native tongue correctly to properly communicate with one another in our own society wherever that may be. To understand and speak a second language places you in a unique category among the worlds population. Beyond that, well you are in an upper echelon of communicating with others and probably just showing off. But I would like to submit to you more food for thought. For those of us that are in the one language category take heart. I am going to propose to you that your language skills are increased seven fold without you realising it and they are constantly evolving. You may thank me later if you wish. Beyond the traditional languages out there such as English, French, German, Spanish etc. are the non-traditional ones that we usually don’t consider. They are based in factors such as our gender, race, religion, age and environment to name but a few. That’s right, each one of the aforementioned serves as a specific language that we all uniquely speak and everyone of those factors combine with others forming the basis of our communication ability. So for instance, a 19 year old, Hispanic, Catholic male from the Southern California region of the United States will speak a different language and have different frames of references than a 40 year old Caucasian Protestant female from New York even though both may understand and speak the English language perfectly. The same is applicable to any group or subgroup from any country or society. If you factor in other peculiar aspects such as our political affiliations, educational background, personal experiences, whether you are liberal or conservative and so on an so forth, you can clearly appreciate the unique language that every human being speaks. Conversely, all of those unique factors contributing to our language skills are also what makes our ability to communicate effectively with one another that much more difficult regardless of what formal language or languages we speak. 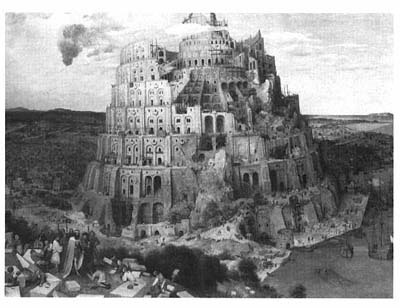 Recall the Christian biblical story of Babel and the confusion experienced when all of the workers began speaking different languages foiling their attempt to erect a tower to heaven? Well think of how that confusion is magnified exponentially based on the specific characteristics mentioned earlier. Yes we speak many languages but, in my opinion, find it difficult to comprehend or appreciate the unique language of others when attempting to communicate our thoughts and ideas. So the next time you engage someone in a conversation appreciate the fact that both of you are multilingual with very different perspectives and endeavour to understand and respect each others distinctive point of view.